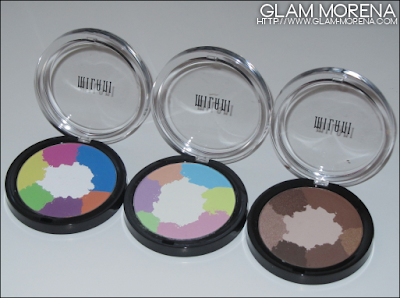 Glam Morena: Swatches: Milani Eyeshadow Palettes. Milani came out with some new eyeshadow palettes. Actually one of these palettes is a repromoted product they came out with sometime last year. These are only available at select Walmart stores. 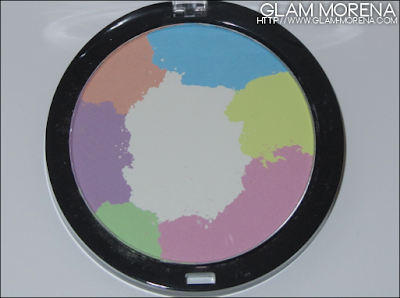 Description: Seven artistic colors in one convenient compact. 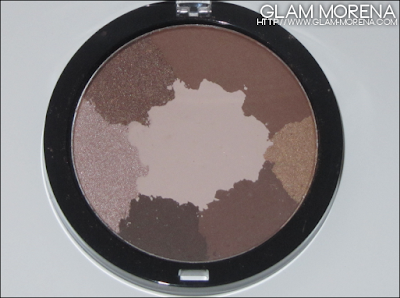 Buildable, silk-like powder eyeshadow in matte and pearl finish. Use alone or blend together to create your own unique hue of art. Available in 3 palettes. This palette has matte a matte finish. This palette has a matte finish. This palette has matte and pearl finishes. Swatches of the Milani Eyeshadow Palette in Paint. Swatches of the Milani Eyeshadow Palette in Impressionist. 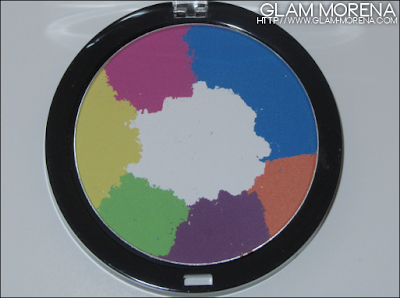 Swatches of the Milani Eyeshadow Palette in Abstract. Must-have palettes: Paint and Abstract. Have you tried the Milani Eyeshadow Palettes? Thoughts? Favorites? I think NYC had something similar. I like the colors but the palette design leaves much to be desired. It just seems a bit sloppy to me for them to plop all the colors together. But it's probably just me being weird about the colors touching..I'm a bit OCD in that regard! I love the bright colors! Perfect for spring!! I searched high and low for the paint palette last year and was SO STOKED when I found it. Cut to months later.. I still haven't used it ONCE. I really like the abstract palette.. I'm wondering if I'd use that once more (or at all! Lol.) since it's a neutral palette. Thanks so much for these swatches!